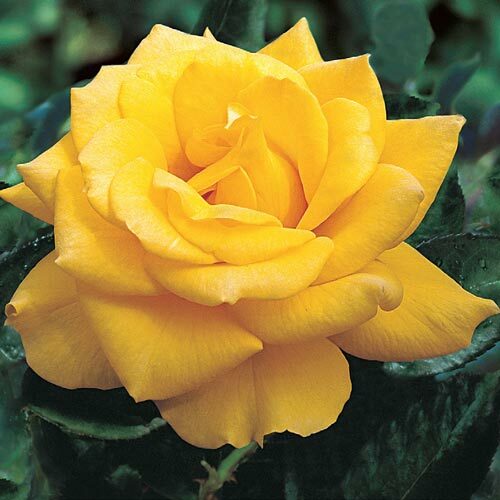 Henry Fonda Hybrid Tea Rose | Gurney's Seed & Nursery Co. Pure yellow blooms do not fade. Immensely popular, Henry Fonda boasts distinctly deep yellow blossoms surrounded by deep green and clean foliage. This rose shows remarkable vigor and disease resistance all season. U.S. Patent No. 9390. Flower Form4 1/2 inch flowers with 20 - 25 petals. Light, sweet fragrance. Soil RequirementsWell drained enriched soil. CommentsImmensely popular, Henry Fonda boasts distinctly deep yellow blossoms surrounded by deep green and clean foliage. This rose shows remarkable vigor and disease resistance all season. U.S. Patent No. 9390. DepthSoak the bareroot in water for about an hour. 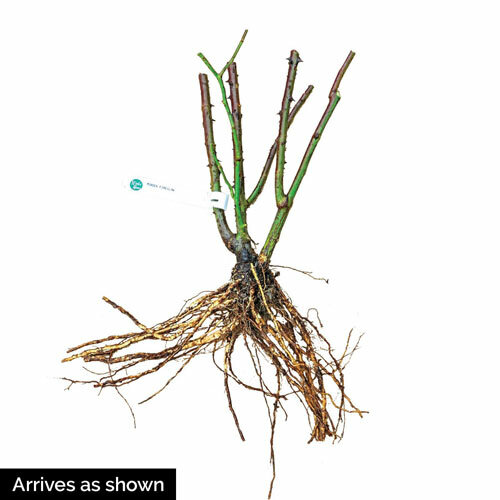 As a rule of thumb, dig the hole about 1 1/2 times as deep and 1 1/2 times as wide as the root system is long. Mound a small pile of soil in the center of the hole as a support for the rose's root crown. The graft should be 1 - 2 inches above the soil.